BYU men’s and women’s basketball head to this year’s West Coast Conference in similar positions. Both finished third in the conference with 11-7 records, and ended their regular seasons with losses to Gonzaga on Saturday, Feb. 24. Both teams will take on San Diego in their first games of the tournament. The women play San Diego on Thursday, Mar. 1 at 6 p.m. PST, and the men play on Saturday, Mar. 3 at 1 p.m. PST. All games will be played at the Orleans Arena in Las Vegas. The men’s team exceeded expectations following the departure of star players Eric Mika and Nick Emery. They improved their record by one game, finishing 22-9 overall, compared to 21-10 last year. Junior Elijah Bryant and sophomore Yoeli Childs led the charge this year, both averaging over 17 points per game. 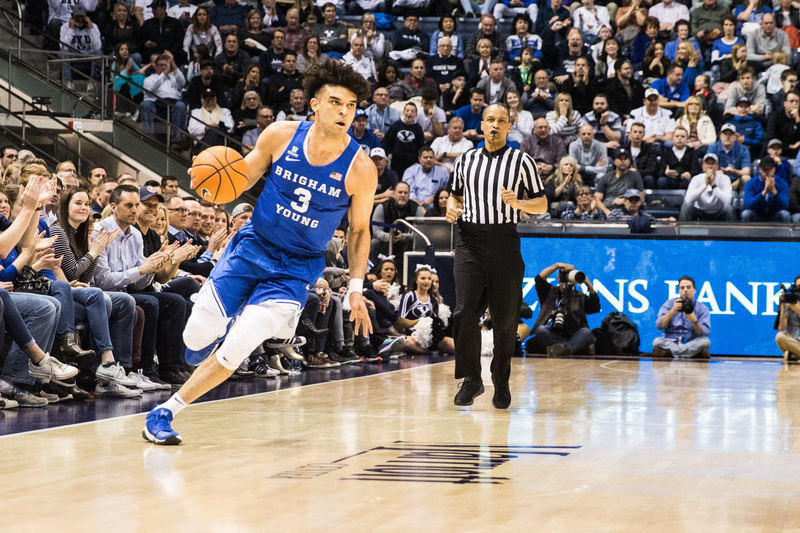 The team’s dependence on the two breakout stars has been apparent this season, and both players will need to be at the top of their game if BYU wants to succeed. The Cougars split the season series with San Diego, beating them by double digits in Provo, and then losing by double digits to them in California. TJ Haws, the Cougars’ third-leading scorer with 12 points per game, will also need to show up and have his shooting stroke ready. BYU is 17-4 when he scores in double digits, and 4-0 when he hits at least four 3-pointers. If his shot is falling consistently, BYU has a good chance to beat San Diego and put up a fight against Saint Mary’s, who they would likely face in the second round. Even when he is not scoring big numbers, Haws has found other ways to contribute, leading the team in both assists and steals this season. His teammates were also quick to praise Haws, with Childs pointing out his decision-making ability as an important skill. To win the tournament the Cougars have to win three consecutive games, with short turnaround times and elite opponents such as Gonzaga and Saint Mary’s — both teams in the AP Top 25. The Cougars can expect Bryant and Childs to score over 20 points and help win two of those games, but Haws will likely have to step up and score over 20 as well to win a third. The women’s team finished with a 16-13 overall record, struggling to gain momentum in the latter half of the season. They were unable to win consecutive games since early January, when they put together a five-game win streak. They lost both games to San Diego during the regular season, though both were within single digits. The team had perhaps its best win of the season last week over Portland, running over the Pilots 73-35. In that game, starting guards Cassie Devashrayee, Brenna Chase and Malia Nawahine all scored in double-digits. On the offensive end, the team will have to recreate this balanced scoring to have a chance in the tournament. On the defensive end, 6-foot-7 center Sara Hamson leads the team, averaging over four blocks per game. 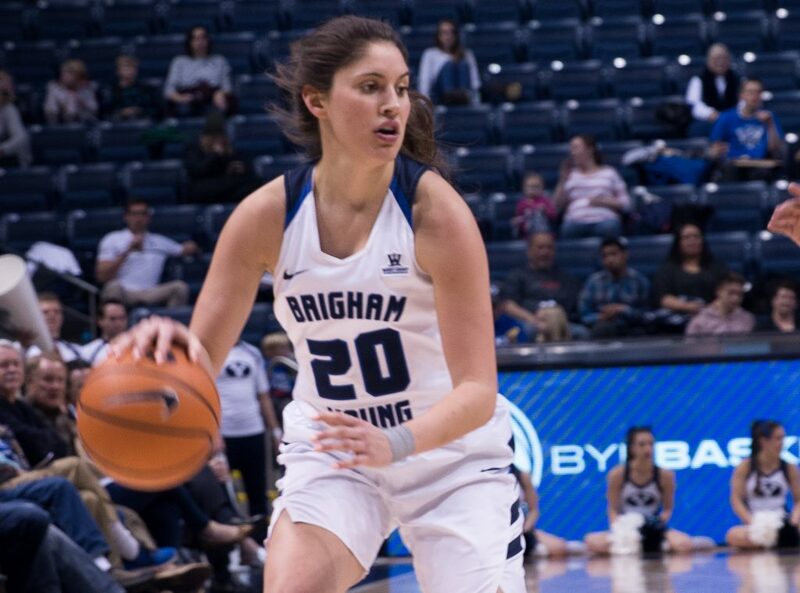 BYU will need her presence in the paint to make a good run in Vegas. If the Cougars are able to defeat San Diego in the first round, they will likely face Saint Mary’s in the semifinals, a team they were able to beat just over a month ago on Jan. 25.